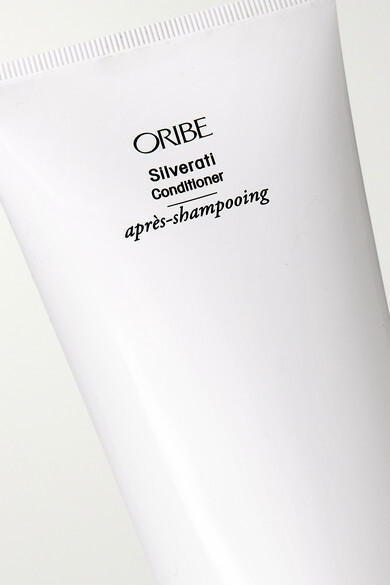 Oribe's 'Silverati' conditioner restores youthfulness and vibrancy to gray, white and silver hair. Lychee, Edelweiss Flower and Watermelon Extracts combat drying and damage from the elements, while vitamin-rich Shea Butter deeply moisturizes and revitalizes damaged locks. For best results, use in tandem with the Silverati Shampoo.